Summary: There are millions of files on KickassTorrents but we can’t access them anymore. So here we will introduce 10 KickassTorrents alternatives to download free full movies, TV shows and more. Commonly abbreviated KAT – KickassTorrents was one of the best and most popular BitTorrent download sites. Yeah, “it was”; currently, all KickassTorrent official websites are down and as such no one can access them to download those good stuff’ anymore. However,there are many great torrent sites to switch over to since KAT has never recovered from the 2016 backlash from the US government. Previously, Kickasstorrent was the best place to download free full movies, Television shows, songs, games, apps, anime, eBooks, and etc. Arguably, there are millions of files on KAT but we can’t access them anymore. So sad, but we’ve got to move on and look for alternative sites. So come along with me as I introduce these 10 lovely Kickasstorrent alternatives. When looking for a perfect alternative to the infamous KAT, 1337X is the next bus-stop for getting intense torrents. The platform features magnet links which allow for peer-to-peer file sharing via BitTorrent protocol. Also, it has an intuitive interface; it is very easy to find your way around the website and get what you want. There are other domains that will lead to the main website of 1337X just in case you’re blocked out from accessing one of them. Furthermore, you can browse through various categories to get your desired torrents. You should be familiar with this torrent site if you were following up KAT during its peak years. Lime Torrents is obviously a top torrent site a lightweight design; the site load very fast and it is also very easy to use. A search bar is available to lookup keywords for the file(s) you want to download. Games, apps, music, etc are available on Lime torrents. Also, you’ll find community verified torrents on this site. This has been a great rival to KAT; it is a BitTorrent site that doesn’t mess around when it has to deal with torrents. Sadly, this website is restricted to certain regions; people who live in such regions have to rely on proxies or VPN servers to break through the firewall/restriction. Torrent Downloads hosts some of the heftiest torrent sources worldwide. If you’re out for freebie games, softwares, movies, etc. then, maybe you check out TD – Torrent Downloads. This is yet another great splash for getting free torrents; a perfect place to join worldwide torrent communities. The website comes with quite a lot of features which made it appear like it’s bulky. Nevertheless, it loads very fast on various web browsers. EXTV also features magnet links for people who may want to know of its extensive features. Still,in kickasstorrents alternative, YTS is a distinctive host site to get free torrents. There are no many features available on this platform anyway. All movies are shown you to you boldly via captivating posters. This is a movie torrent website; you won’t find other stuff here. Also, on this torrent site, you’ll be able to browse and download good movies in excellent 720p, 1080p and 3D quality at the most-possible smallest file size. Zoogleis that rightful kickasstorrent alternative you seek for. There are tons of torrents available on this site for you to download at no cost. This is one of the most visited torrent site looking at the Alexa rank and statistics. Also, on the Zoogle torrent site, there are lots of categories to look for your free stuff. Evenly, you can download premium PC apps from here. There are two versions of this site; the Russian version and the English version. Here is another simple, very easy to use torrent download site. Seedpeer just as the others already listed in this article is quite versatile in what it has to offer. Well, the simple, user-friendly interface is one of those most interesting features it flaunts. Hopefully, this site will be going down any time soon before it is in compliance with all the EU and other foreign policies. DB stands for DataBase in webmaster slangs; could it be that this is a torrent database server? Lol, anyways, TorentDB is one of those resourceful alternatives to kickasstorrents. Quite a lot of things are available on this site; don’t pay to get those interesting movies or games anymore, c’mon here and download them freely. The next KAT alternative site is the RARBG. This is a fast-growing movie torrent site; currently, the Alexa rank is below 400. This KickassTorrents alternative also provides and magnet links to improve peer-to-peer file sharing. Guess you have tried visiting this site before and it is not loading? Well, just like many other similar sites, RABG has been blocked a good number of times. However, it is now open again for every torrent addict to visit. Finally, our last kickasstorrent alternative site is the Torlock; as you can deduce from the name, this platform locks up a huge number of intriguing torrents arranges into categories for easy navigation and access. Also, just like the others we have here, it supports other file types rather than just movies. These are the top 10 best kickasstorrent alternatives which are currently accessible for torrent lovers worldwide. Don’t be surprised because you couldn’t find the infamous “Pirate Bay” on this list. Yes, this is because the site is currently down/inaccessible at this time. Now that you’ve seen the best kickasstorrent alternatives, maybe you should equally know how to transfer the movie torrents you downloaded on your pc to your mobile smartphones? This action can be easily done in just a few clicks using the DVDFab File Transfer. This is a free, standalone tool for transferring media files from your PC to smartphones or tablets. The DVDFab file transfer tool works in collaboration with DVDFab remote. DVDFab remote is a unique mobile app that lets you connect your PC with your smartphone for effective file transfers. You have to install DVDFab Remote app on your mobile device (compatible devices), then, also download the DVDFab software pack. * Launch the DVDFab after downloading and installing it on your computer. * Navigate to the “Utilities” module and select “File Transfer”. For this first time, this app will have to retrieve its files via automatic cloud download. After the download on the first time use, close DVDFab and relaunch it. * Now, go over to the “utilities” module again and click on DVDFab file transfer; follow the instructions to connect your smartphone with your PC via DVDFab wireless tech. * Also, launch DVDFab remote on the smartphone you installed it to and connect it with DVDFab 11; the process is self-explanatory. * Once connected, get the torrent file(s) from where you saved it on PC and start transferring to your mobile. When the transfer is complete, you can find the video in the Gallery or Photos or Movies folder of your mobile device. Then you can enjoy your downloaded torrent movies on your phone freely. This article shows you some KickassTorrent alternatives, but you can also use KeepVid alternatives to download movies easily. How to convert GIFs to MP4 videos? Here are the 5 best ways to convert GIF to MP4 easily and quickly. Microsoft Expression Encoder 4 is the Microsoft screen recorder that you can to record your desktop screen. But there are many powerful screen recorders with more powerful features. Here we will list some better screen recorders that can replace the Microsoft screen recorder. How to compress mp4? 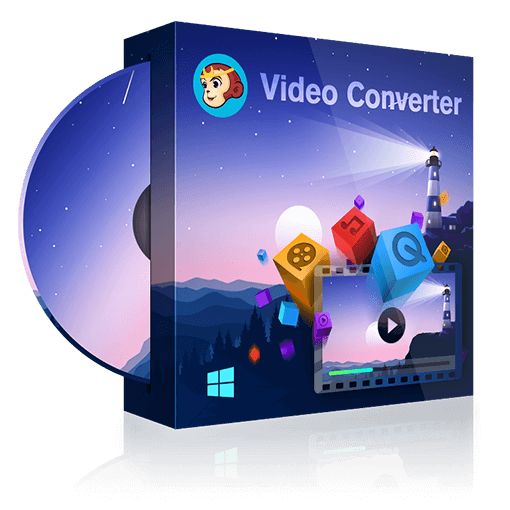 DVDFab Video Converter is the best tool for you to compress MP4 files to smaller size files. Here are the detailed steps of compressing MP4 files.